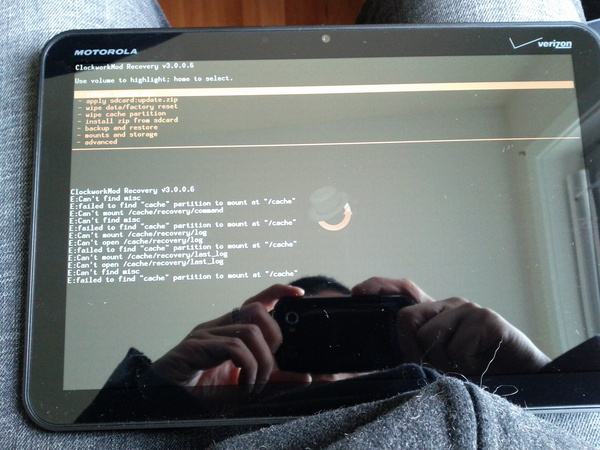 Clockwork Recovery on the Motorola XOOM in 2 hours…we love you Koush. And I say “2 hours” because he was on his way to pick one up 2 hours ago, so really he probably did it in less. Silly. And now we just need root, which we have to assume will happen in the next couple of hours. Maybe. Motorola XOOM "Vendetta" Commercial is Only Missing the Word "DROID"